Judge Hundley was appointed to the District Court bench by Governor Robert Bentley on October 5, 2011 and then appointed by Governor Kay Ivey to the Circuit Bench on December 5, 2018. Judge Hundley has presided over the Adult Drug Court since being originally appointed to the bench in 2011. He received his undergraduate degree and Master’s Degree from the University of Alabama. His Juris Doctorate degree came from the University of Alabama School of Law. Prior to his appointment to the bench, he was engaged in a litigation practice for 26 years, handling case throughout Alabama with a concentration on civil defense in the North Alabama region. 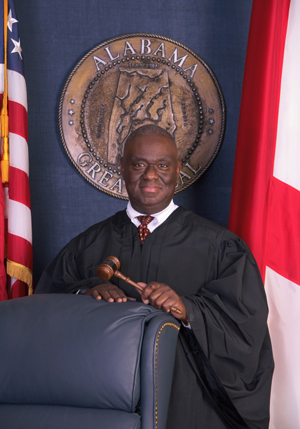 He also served as a Bar Commissioner with the Alabama State Bar previously serving as a substitute city judge for the City of Huntsville, City Prosecutor for the City of Madison and the City of Guntersville, Alabama, as well as a Special Circuit Judge between 2001 and 2004 in Madison County. He was President of the University of Alabama Law Alumni Association from 1998 to 1999. He was a member of the Board of Directors of Alabama Law School Foundation and presently serves on the University of Alabama President’s Cabinet, as well as its Executive Committee.